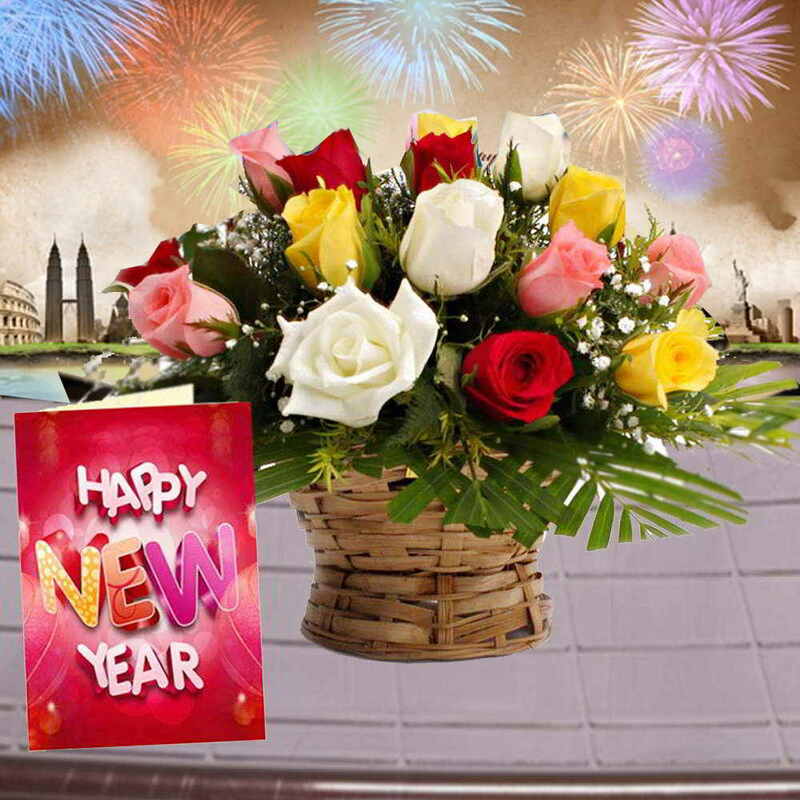 Product Consists : Basket arrangement of 15 Mix Roses with some green fillers along with New Year Greeting Card. 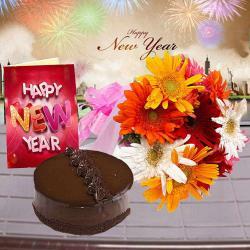 If you are looking for a special gift to delight your loved ones on New Year then your search ends here. 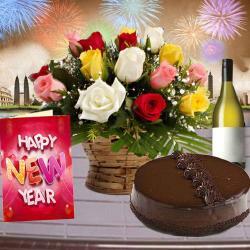 We have very thoughtfully designed this stunning gift hamper that is perfect for sending your New Year best wishes in style. It consists of a bunch of 15 enchanted roses in mix colors like pink, white, yellow and red which are sumptuously arranged in a designer cane basket. 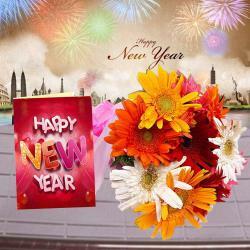 It also includes a lovely greeting Card with heart-warming New Year message in it. Give your loved ones a reason to rejoice on New Year by treating pampering them with such impressive gift hampers. 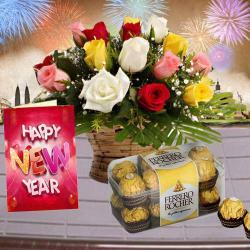 Product Consists : Basket arrangement of 15 Mix Roses with some green fillers along with New Year Greeting Card.